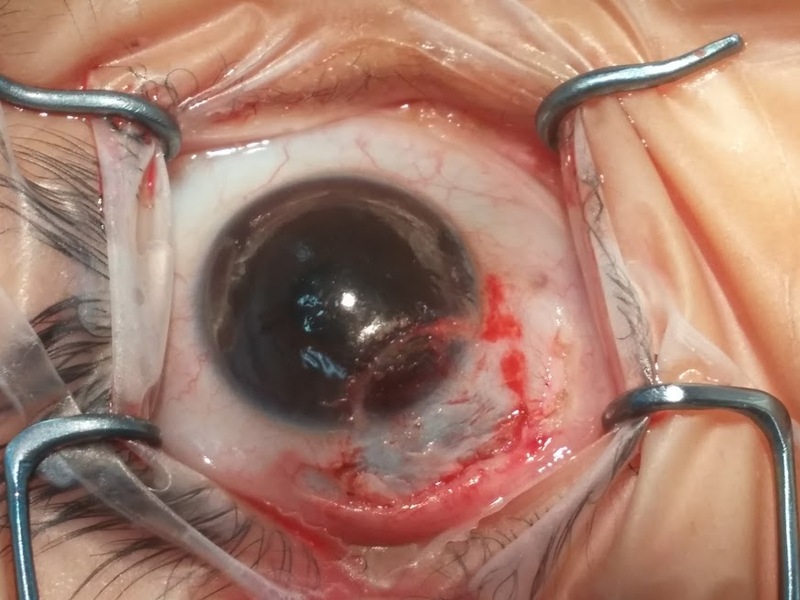 7 year old presents with a limbal fleshy lesion and decreased vision. This lesion was surgically excised 2 years prior to presentation. What is the diagnosis and management? Benign congenital tumors that contain choristomatous tissue (tissue not found normally at that site). Appear most frequently at the inferior temporal quadrant of the corneal limbus. May contain a variety of histologically aberrant tissues, including epidermal appendages, connective tissue, skin, fat, sweat gland, lacrimal gland, muscle, teeth, cartilage, bone, vascular structures, and neurologic tissue, including the brain. Associated ocular abnormalities include colobomata of the eyelids, Duane retraction syndrome and other ocular motility disorders, lacrimal anomalies, scleral and corneal staphylomata, aniridia, and microphthalmia. Associated systemic abnormalities include preauricular appendages and auricular fistulae (in combination with limbal dermoids constituting Goldenhar syndrome). Other abnormalities include hemifacial microsomia, microtia, and vertebral anomalies. Treatment: A superficial sclerokeratectomy, cutting flush with the surface of the globe, is the procedure of choice for removal of the dermoid. The attached photos of our patient demonstrate complete surgical excision followed by sclerocorneal graft.